Redman looks the goods. Pure footballer. That’s a defence I can trust! 8 solid players. With Dea and Ambrose as back up I have a lot of confidence with our backline. Imagine when he’s joined by the other Mason. They should both feel very much at home. No shortage of Masons at Essendon. I think Ridley is more versatile. Redman is a strong back, Ridley can play back and wing imo. No need to move Redman he is just a very solid backman and will take over Hurls role. That’s an insult to mongoloids. Imagine how good he will be when he gets a better haircut? Like a few of his mates he needs to work on his kicking though. Just watched the replay and he is seriously good. As someone mentioned earlier, he is prime Goddard-like. Yeah disposal efficiency is a good indicator. 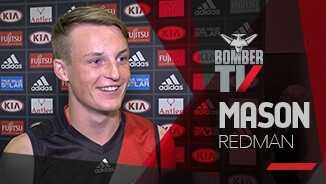 Heppell goes at high efficiency as well. No he doesn’t. He goes at an average level, ~70% across his career. Redman’s kicking efficiency yesterday was 81%, rated elite by AFL Stats Pro. His kicking was fine. 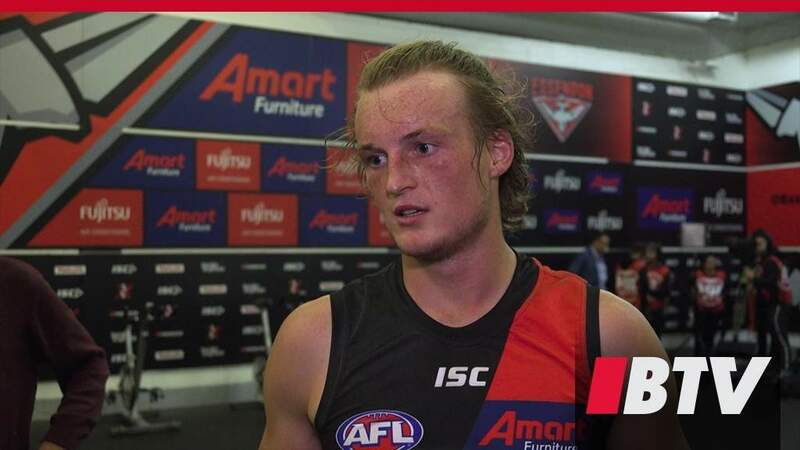 Heppell was 77% on the weekend so very little difference. Redman is a very good kick I just think sometimes when he’s kicking down the line when bringing it out he sometimes puts too much on it. For a kid who has now played only 6 games over 3 and a bit years not sure stats are that relevant. He looked excellent on Saturday and slotted comfortably and confidently into seniors footy. The hope is he gets the opportunity to string a lot of games together. Redman is a jet, his disposal is very good. Hepp is fine, except when it’s not and he drills it down the oppositions throat. Usually has 1-2 a game. Redman, Ridley and McKenna off of the HBF is some serious kicking skills that can break games open.